Meeting registrations, requests to speak, and hotel reservations are all due by January 4, 2015. Send the title of your presentation to conference coordinator Jacob Burks, MBA. Presentations should be no longer than 10 minutes, followed by a few minutes for discussion. Reserve your room at the Caribe Hilton USE ONLY THIS LINK to reserve your room. Please do not reserve your room directly with the hotel or you will not get a room in the conference block or our special pricing and your stay will not be credited to the conference. The cut-off date for room reservations is January 4, 2015. After this date we cannot guarantee you will get a room in the conference block or at the conference rate. Total cost for single and double occupancy ocean view rooms is $271.51 per night ($205 per night plus an additional 32.444% which includes mandatory state and local taxes, a resort fee, per person porterage, and per room per day room attendant charges). Conference room rates are offered three days pre- and three days post-conference, subject to availability. Reserve early if interested. Dr. Greenberg received his Bachelor’s degree from Western Washington University, an MS from the University of Iowa, and his PhD from the University of Massachusetts. After completing postdoctoral studies at Harvard he held faculty positions at Cornell University and then the University of Iowa, eventually returning to the Pacific Northwest as a faculty member with the Department of Microbiology, School of Medicine, University of Washington. Dr. Greenberg is an elected Fellow of the National Academy of Sciences, American Academy of Arts and Sciences, American Association for the Advancement of Sciences, and the Academy of Microbiology. Dr. Greenberg has spent his scientific career uncovering the secret world of microbial social behavior and unlocking clues regarding the mechanisms of bacterial communication. 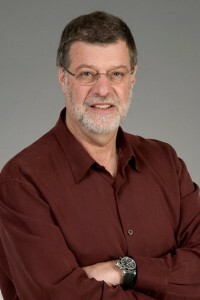 He introduced the now commonly used term “quorum sensing and response” into the lexicon of microbiology and will speak on the concept of “quorum-sensing groups” and the interactions between group members known as “quorum-sensing cooperators” and “social cheaters.” Because bacterial communication controls virulence in a variety of pathogenic bacteria and has thus become a target for development of new therapeutic strategies, Dr. Greenberg’s work may one day have a significant positive effect on human health. Dr. Gabriel Nuñez earned his Medical Doctor’s degree from the University of Seville, Spain, in 1977. He received postdoctoral training in Immunology at the University of Texas Southwestern Medical Center, Dallas (1979–1984) and residency training in Anatomical Pathology at Washington University in St Louis (1985–1990). In 1987, he joined the laboratory of Stanley Korsmeyer at Washington University, where he studied the function of the anti-apoptotic protein BCL-2. In 1991, he joined the Department of Pathology at the University of Michigan in Ann Arbor as an Assistant Professor and was promoted to full Professor in 2001. He holds the Paul de Kruif Endowed Professorship in Academic Pathology. His laboratory identified NOD1 and NOD2, the first members of the Nod-like receptor (NLR) family, a class of pattern-recognition receptors that mediate cytosolic sensing of microbial organisms. Nuñez and colleagues showed that genetic variation in a NLR family member, NOD2, is strongly associated with susceptibility to Crohn’s disease. The Annual Meeting of the Oral Immunology/Microbiology Research Group is also known as the Mark Wilson Conference in honor of its founder, Mark Wilson, PhD, 1950–2000. In keeping with Mark’s original plan, the meeting is held over a long weekend during late January or early February. The 25th annual meeting is scheduled for February 6–9, 2015 at the Caribe Hilton, San Juan, Puerto Rico. Each session begins with a keynote address by an invited lecturer. Small group break out sessions for continuing scientific discussions from the morning are held in the afternoons. The meeting starts on a Friday evening with a reception. Breakfast is served prior to each session. A dinner banquet is held on Sunday evening. All meals (reception, three breakfasts, and dinner banquet) are included in the registration fee and registered participants are welcome to bring one companion to each meal. Additional companions are welcome at an additional charge, which must be paid at the time of registration.